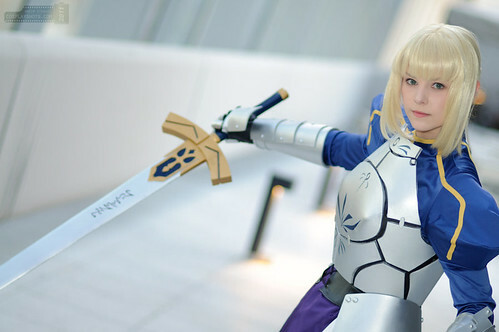 Except Fate/Stay Night Saber cosplay found by us days ago, Maridah also shows us many other breathtaking cosplay pictures in her gallery. 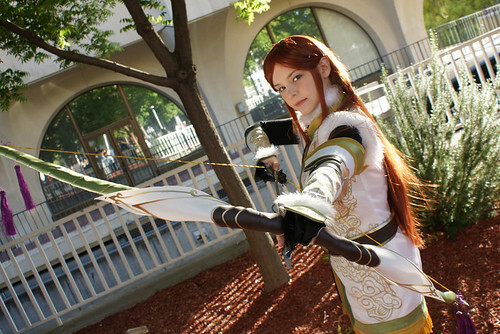 This American girl is absolutely a cosplay talent, having a more than 10 years’ background in the performing art field. She is a fan for anime & Star Wars, who loves to collect figures and dollfies. We are lucky to invite Maridah to join in our cosplayer interview. Now, let’s take a look at what she shares with us below. 1. Please introduce yourself first. Hello! I’m Maridah. I’m a cosplayer living in California, USA and I’ve be cosplaying for a little over 10 years now. 2. What does cosplay mean to you? Cosplay is one of my favorite hobbies. I’m a long time anime fan, so it’s a sort of expression of fandom for me as well as an outlet that lets me be creative and have fun making and wearing costumes. 3. What and when was your first cosplay? My first cosplay was Relena from Gundam Wing back in 2001. 4. What is your most memorable cosplay experience? I’ve had too many good moments to count. I think the one that stands out to me most is the first time I wore my Saber armor to Anime Expo in 2009. I’ve never had such a mass of people around me before, taking pictures and talking with me about my costume. I was standing still for ages posing and there was a mass of people. It was pretty amazing to have that many people want to photograph my cosplay. The pride and enjoyment of that day sticks with me as a high point and encouragement for me on future projects. I want to get people as excited with my projects as I am about them, so it was a great moment. Cosplay is a great way to show you love something, so sharing it with others is the epitome of the craft to me. 5. What’s your favorite photo shoot? My favorite shoot would probably be one I did with friends in September of 2010 in a Japanese traditional room for Fate/Stay Night costumes. We spent a lot of time cracking up and goofing around so it was a lot of fun. The photos are also some of my favorites. 6. What’s your favorite anime/manga/game character to cosplay as? Saber from Fate/Stay Night or Lina Inverse from Slayers. Both are so much fun to wear and people really react well to both. It’s fun to see other fans of the characters like the costumes and want to take photos with me. 7. Any cosplay plan in future? Quite a few! I’m always working on several costumes at a time. Right now I have 5-6 things in the works. I like to keep myself busy on multiple projects at a time so I don’t get bored or frustrated with just one of them. Sometime soon I’ll be debuting another Saber costume and some stuff from Vocaloid. 8. Do you make your costumes yourself or buy them? I make all my costumes, props, and style my own wigs with the exception of my Mugi Summer School Uniform (K-On) which is modified from ‘found’ items. I love to sew and I have a background in theater so cosplay allows me to continue that craft in a small way. 9. Any other cosplayers you like? 10. Do some changes happen to you after cosplay? Not really. I don’t adopt character personas like some cosplayers choose to do, but it certainly does give me a great adrenaline rush to be out in costume. I try to convey something of the character when I pose, though, even though I don’t act out a part. It’s just a fun experience and a way to be different from my normal self on the weekends. 11. Any advice you wanna share with cosplay newbies? Cosplay what you love and do it with friends. Sharing the experience with people you enjoy being around makes it much better. Pick your favorite character and go out and enjoy the event. It’s impossible not to have fun if you just let yourself go and be silly for a while in costume.